Did you know that it costs $6,000 per year to employ a smoker? Or that secondhand costs $5.6 billion in lost productivity every year in the US? The bottom line is that tobacco is not only bad for your employees’ health, but having employees that smoke (or that are exposed to secondhand smoke) can have a big impact on your organization…and a big impact on your bottom line! There is no better time to encourage your employees to quit smoking than November. November is Lung Cancer Awareness month and November 19 is this year’s Great American Smokeout. Every November, the American Cancer Society names the third Thursday of the month The Great American Smokeout. This event challenges people to kick the smoking habit for 24 hours and to create a plan to quit for good. By encouraging employees to participate in The Great American Smokeout, even if they start by quitting for only one day, you are helping them take a big step towards a healthier lifestyle. 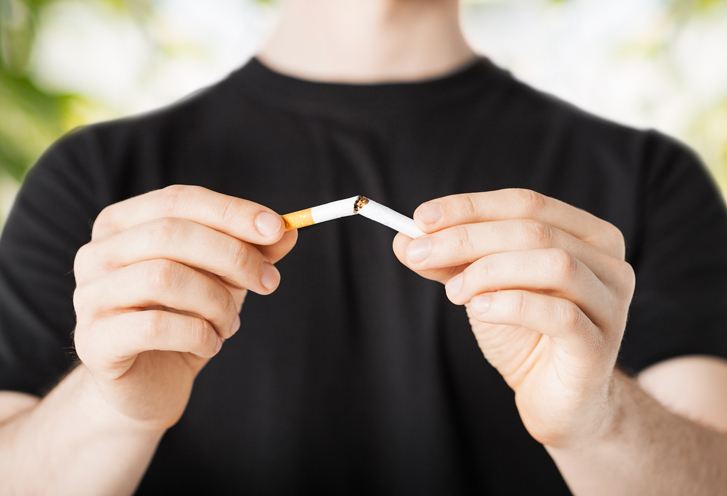 What can your company do to encourage employees to become smoke free? Make your workplace smoke free. By having a 100% tobacco free workplace, you are creating a safer, healthier environment for all You are also supporting tobacco users that are trying to quit. Provide information about the health benefits of quitting. Make tobacco users aware of the benefits of quitting smoking that can start just 20 minutes after quitting. Educate employees on the risks of smoking. Since it is also Lung Cancer Awareness month, provide employees with information on the impact that smoking has on risk for developing lung cancer and what they can do to prevent this disease. Encourage use of insurance reimbursement. Let employees know of any tobacco cessation treatments that may be covered with your organization’s insurance plan. Incentivize a smoke free lifestyle. Offer a cash incentive, or insurance reduction for employees that are smoke free, or that quit smoking. The Affordable Care Act allows for health contingent wellness programs to reward up to 50% of total cost coverage for programs designed to prevent or reduce tobacco use. Interested in additional ways you can help employees become smoke free? Partnering with the right wellness program, such as Well Nation®, can have a positive impact on the overall health of your employees and reduce their risk of developing lung cancer. With targeted tobacco cessation wellness coaching, expert knowledge in health contingent wellness programs, individual and corporate healthy lifestyle challenges, and a healthy habits tracking and reward system, Well Nation® offers a suite of easy-to-use resources to help employees kick the smoking habit for good.